Forex indicators are auxiliary tools necessary for decision-making in difficult moments, when the behavior of a currency pair is ambiguous. This section provides classification and reviews of new and proven indicators, describes how they work and the settings, gives examples of use. Beginners will be interested in the guide for choosing indicators. 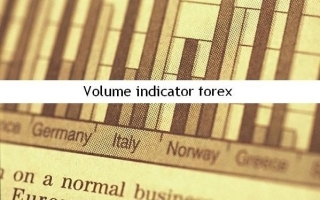 In the currency market, forex volume indicator plays an important role and carries a lot of information. By means of active bidders in a certain period of time. Simply put, the volume is the number of transactions in certain financial assets (currency, stocks) within the indicated period (minute, 5 minute, hour, day). 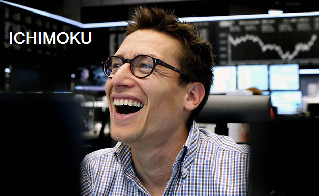 Many traders want to build a trading strategy based solely on computer displays. This is primarily due to the fact that browsing history, old quotes and charts for past periods, the trader sees a near-perfect operation of all the signals that are received from the selected indicators. So be it, but why, then, in practice, the indicator and strategy advisors bring over most of the losses and eventually drained deposit? In this article, we will determine what assistance can provide indicators of the trader how to properly use them and select the best forex indicators for certain situations. One of the main reasons why so many people choose to market FOREX, is the hour (except holidays) the availability of trading. Such continuity of the market due to the difference in time of opening and closing the world's financial centers. Currency exchanges, banks and other financial institutions in different countries operate some time. At some point in periods of financial institutions of various economic zones overlap. Trading in the financial markets, people have started a long time ago. 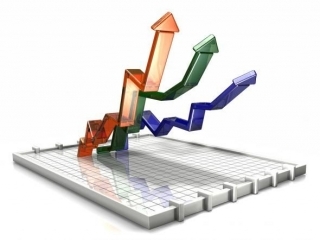 Methods of analysis of the dynamics of prices people are constantly improving. To date, there are many possible systems of technical and fundamental analysis. A trader in the forex market in the decision, as a rule, takes into account both the fundamentals and the technical picture. 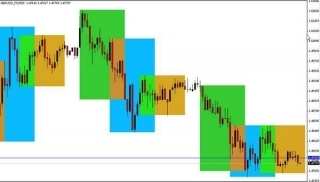 Talking about the technical analysis of the forex market, first of all, we note that it's divided into two types: the graphical and mathematical. Mathematical analysis involves the use of indicators, the construction of which is carried out by means of analytical formulas. Indicators are also divided into retarded and advanced. Delayed (or trend) indicators - is moving averages, momentum indicators, etc. Leading Indicators Forex - is oscillators. If the indicators of the first type just state the current dynamics, the oscillators are able to anticipate developments in the market. It sounds like this is not very plausible, but, nevertheless, it's. Situation in the forex market change very quickly, "bullish" trend replaced "bearish" and vice versa. 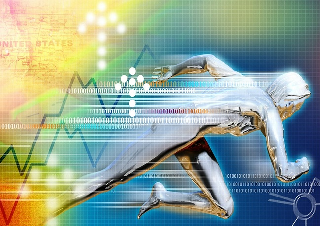 Leading indicators forex can advance to react to the impending change of environment. Among the variety of technical indicators that exist in nature, there are a number of reliable and time-tested tools. Ichimoku is one of the brightest representatives of this class of tools to analyze market information. Developed this wonderful indicator was in the first half of the 20th century by one analyst (Goichi Hosoda) from Japan. However, it is presented to the public a means of technical analysis, it was only in the 60 years since its founder thoroughly tested and perfected his analytical tool. Often traders have to make decisions based on intuition. It does not always lead to a positive result of trade. It is much preferable to choose the moments I/O on the market with the help of indicators. This helps to minimize the degree of influence of the human factor and makes trading in a simple and clear set of actions. The object of the description in this article is an indicator MACD. Hard to find a more common tool for the analysis of the classical dynamics of the price. 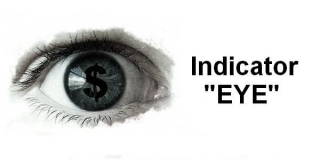 Forex Indicator "EYE" is also known as the all-seeing EYE of trends. It is an indicator of the wave type. The purpose of this is an indicator that it points to possible extrema or maximum/minimum points, thereby signaling a possible reversal. In addition, the data received by the indicator forex "EYE" data, many traders use in their strategies to build and install the moving average take-profit and stop-loss orders.